The International Cricket Council has named Team India captain Virat Kohli to lead the men’s Test and ODI Teams of the year. India also has the best representation in the Test and ODI teams respectively with New Zealand and England. There are three Indians in the Test team and four in the ODI XI. 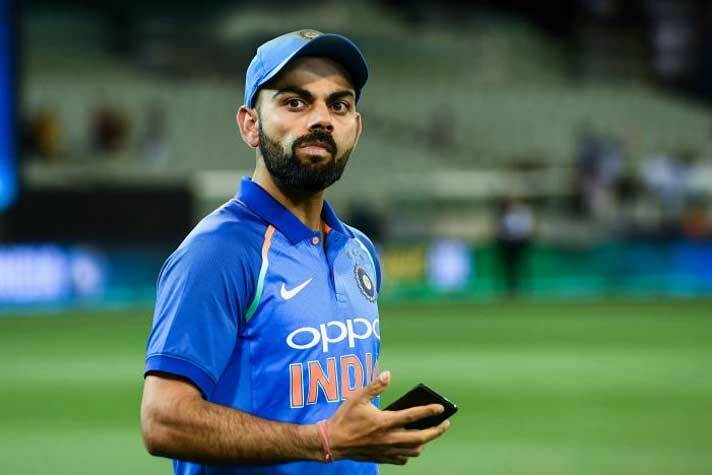 The awards, which honour performances during a calendar year, saw the India captain Kohli walk into both sides which were selected by the ICC Voting Academy, comprising former players, members of the media and broadcasters. Rishabh Pant is the emerging cricketer of the year. Skipper Kohli and Jaspreet Bumrah are the only two players to figure in both the teams. “It has been an amazing year. I was able to play in a manner that I would not have imagined. If the intention is right and you keep working hard, the results are there in front of your own eyes. The intent has always to be helping your team at any cost, that is when these performances come by and you are pushing yourself to the limit, which you otherwise will not be able to. That is something I experienced in 2018 a lot,” said Kohli. ICC Men’s Test Team of the Year (in batting order): Tom Latham (New Zealand), Dimuth Karunaratne (Sri Lanka), Kane Williamson (New Zealand), Virat Kohli (India, Capt), Henry Nicholls (New Zealand), Rishabh Pant (India, wk), Jason Holder (West Indies), Kagiso Rabada (South Africa), Nathan Lyon (Australia), Jasprit Bumrah (India), Mohammad Abbas (Pakistan). ICC Men’s ODI team of the year (in batting order): Rohit Sharma (India), Jonny Bairstow (England), Virat Kohli (India, capt), Joe Root (England), Ross Taylor (New Zealand), Jos Buttler (England, wk), Ben Stokes (England), Mustafizur Rahman (Bangladesh), Rashid Khan (Afghanistan), Kuldeep Yadav (India), Jasprit Bumrah (India). The voting academy conbsissted of Javed Hamid Kakar, Emal Pasarly (Afghanistan); Lisa Sthalekar, Andrew Wu, Mike Hussey (Australia) Utpal Shuvro, M. Farid Ahmed, Athar Ali Khan (Bangladesh); Julian Guyer, Lawrence Booth, Nasser Hussain (England); Deep Dasgupta, Sunandan Lele, Jasvinder Sidhu (India); Ian Callendar, Barry Chambers (Ireland); Mark Geenty, Ian Smith (New Zealand); Peter Borren (Netherlands); Ramiz Raja, Abdul Mohi Shah, Mazhar Arshad, Bazid Khan (Pakistan); Shaun Pollock, Neil Manthorp, Firdose Moonda (South Africa); Saroj Pathirana, Russel Arnold, Rex Clementine (Sri Lanka); Peter Della Penna (USA), Ian Bishop, Barry Wilkinson, Vinode Mamchan (West Indies); Trisan Holme, Mehluli Sibanda, Mpumelelo Mbangwa (Zimbabwe). Also Read: Now know more about Virat Kohli straight from the horse’s mouth!